How we use labels when printing with thermal printers around the home/office. A while back I did an article about thermal printer repair and I want to show you how I actually use it with printing labels. In the previous article I was mostly focusing on what to look for when you’re going through old equipment and how to repair some of these older but great machines and all of the common defects that I have seen throughout the years. I still have my thermal printers and I use them for Ebay. 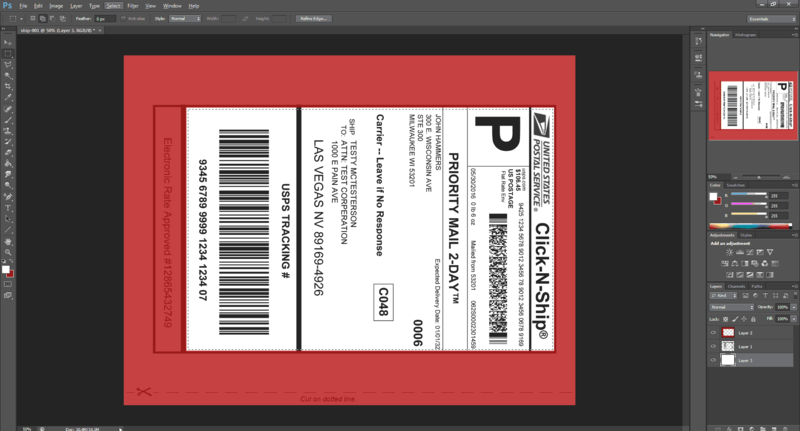 Lately, I had a reader e-mail me asking me what thermal programs do I use to print the labels that I do? Well, you’re in luck. Because I want to show you how to make a terminal printer work for you. 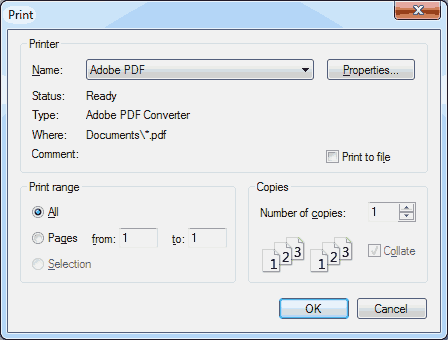 Adobe PDF (Freeware alternative is PDFCreator) – This is used to get any of the automated packing slips and shipping labels from Ebay/Paypal into our programs for manipulation and printing. Adobe Photoshop (Freeware alternative is GIMP) – Although it’s WAAAAY overkill to use a paint program in such a fashion. It’s what I like to do. So yeah, we’re totally going to use it. A driver for your thermal printer. Lets make sure that our printer is setup right. 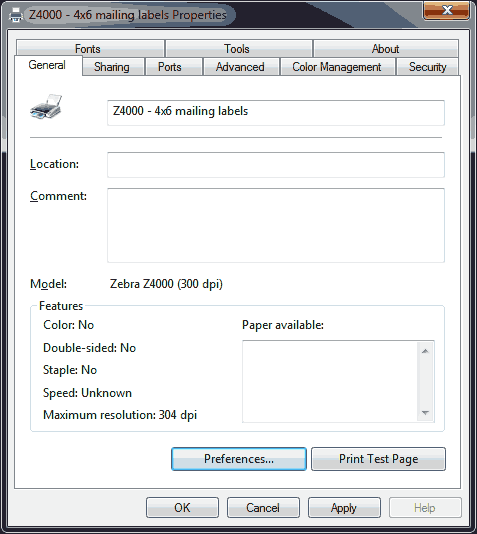 We are going to go into the printers menu, and right-click on our thermal printer and click on “See Whats Printing.” From there, we are going to click on File , click on printer and finally click on properties. This will change depending on what kind of thermal printer you may have. In this case we have to click on the general tab and preferences. Once your labels are properly defined. You can click on the apply button and finally the OK button to back out. We’re going to start at the moment you click on that print button to print out your Shipping Label of your favorite browser. Instead of piping it to a laser printer or ink jet which is the conventional way of doing it and unit loads of tape to fix it to the box afterwards. We are instead going to make a PDF of this file. This will preserve the text resolution which we will resize with our paint program later. Now that the PDF is created we can simply close out of this window as there’s nothing much we can do with this program beyond just making it into a PDF. Once you open Photoshop and click file and open. 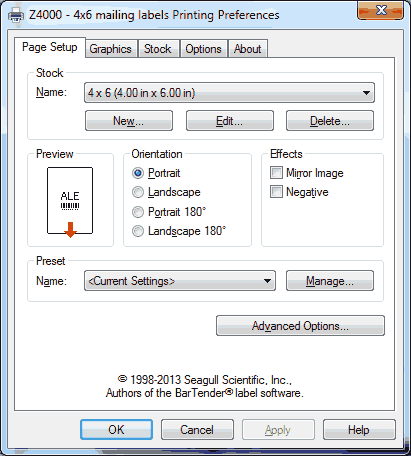 After selecting the PDF we just generated this window above will appear asking for the settings of how the PDF should be rasterized into a bitmap format. I choose 300DPI because that’s the maximum DPI setting of my thermal printer. We are not going to worry about the height or width of the PDF right now. that will come next. Using the rectangular marquee tool on the upper left hand side in the classic essentials mode (click on Window > Workspace > Essentials). you can begin selecting the shipping label. I have highlighted everything in red which we will get rid of. You’ll note the “Electronic Rate” number below. 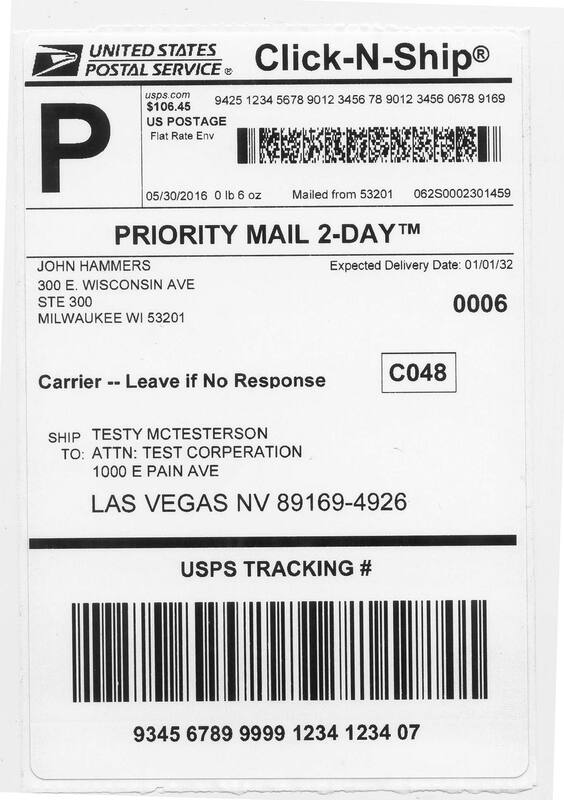 This USPS number is not really needed for shipping, as long as we have barcodes, the sender name and address and the receiver name and address and it’s good to go. Once you have captured the label you want click edit, and click copy (Or Ctrl+C) for the keyboard shortcut. Click on file and new. 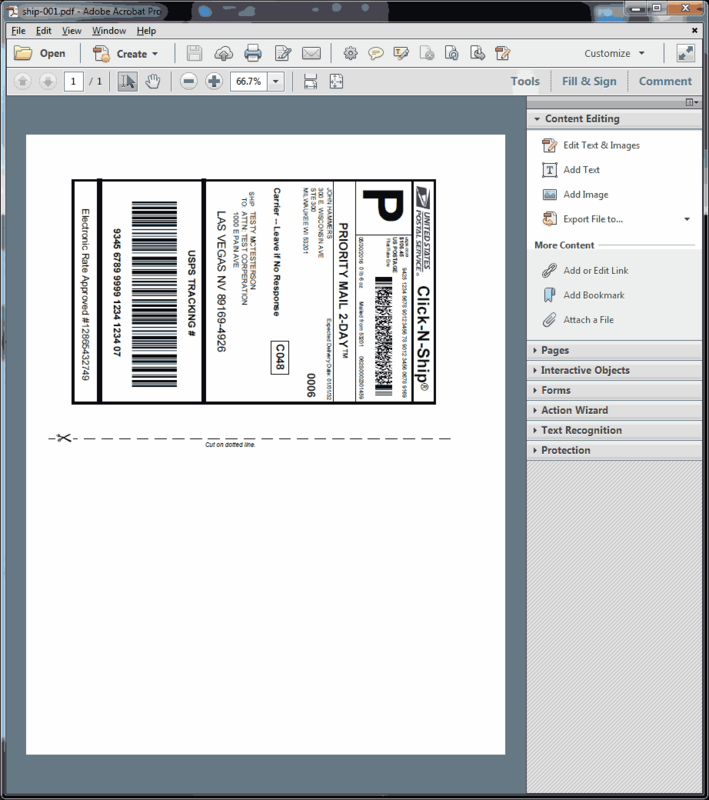 Finally, click edit and paste (or Ctrl+v)the label to cut away all of the excess from that PDF. This is just a personal preference of mine but I like to actually look at the label as how it will print out from my thermal printer. So we click on image, image rotation, and Rotate the label 90 degrees CCW. 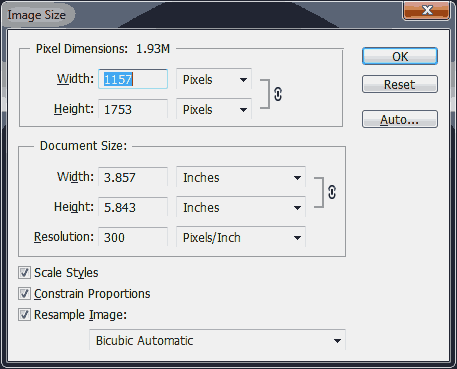 Resize captured image to fit label. We are next going to click on image , and image size. The area we want to focus on in the document size and ensuring the fact that the dimension is in inches (or millimeters depending on nationality) Since my labels are 4 by 6 inches. It is below that value which means the labels should print just fine with almost no clipping. We can also change the DPI of the print-out here in case you forgot. This is useful if you are making a label from scratch. The thermal printer has almost no clipping because there will be some variance in the printers registration. It’s best not to put text right on the edge of a label or else it could get cut right off! At this point of the game you think that you are done and you can just click on file and print right? Not so fast! If you click on the image above to zoom right in. You’ll see that the image has dots all over the place. This is because the zebra printer is interpreting a color/greyscale image that we received from our PDF. The thermal printer is seeing all of the grey tones in the USPS logo, and all of the grey around the lettering, and trying to half-tone everything on our label. This produces a very grainy effect on the label. There-fore it is crap. If you print any vector graphics like black and white fonts or company logos, the thermal printer will not do this since there is no half-toning on a vector image except for color itself. 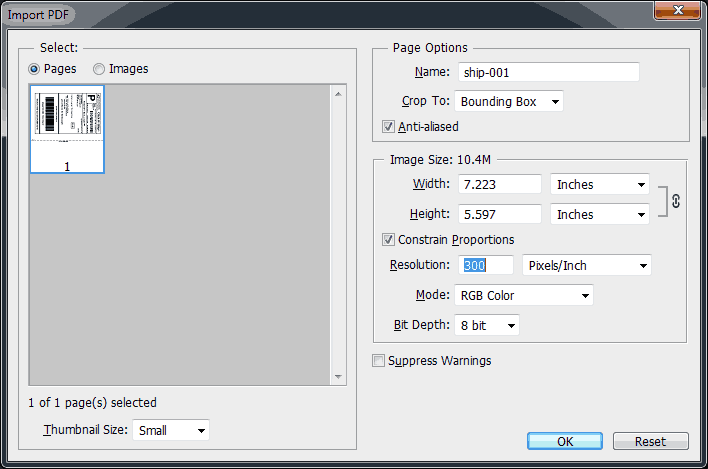 There is ways to stop this in printing preferences but since we are using an overkill graphics program we can force the image to stop half-toning. If your image is in color then you’ll want to select image > mode > greyscale which some warnings may pop up about loosing any information such as fonts or vector settings which is fine. And finally image > mode > bitmap to crush your image down to pure black and white. 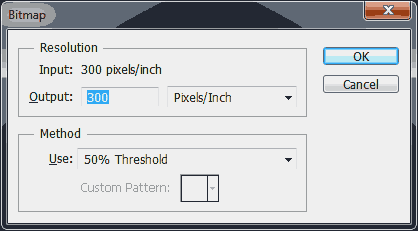 Make sure that the method you’re using is 50% Threshold so there is no dithering in the image. You will then see your image pixelate a bit because all of the greys used to smooth out your image are completely gone. However, at 300dpi it will still look nice. 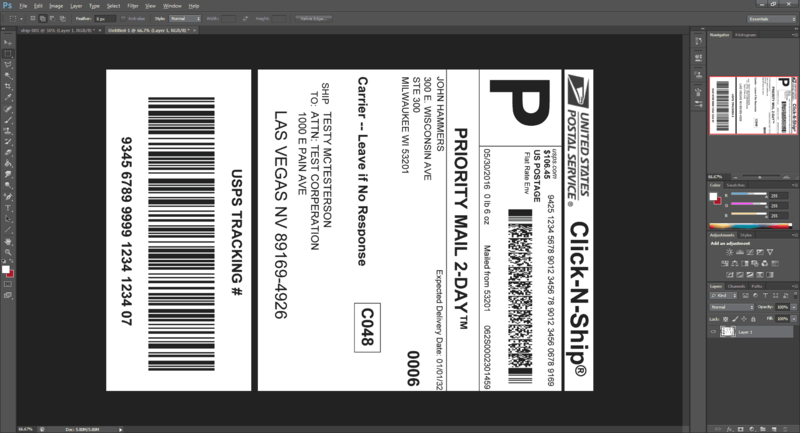 If for some reason your bar-code is missing some extra pixels due to a lighter image you can edit > step backwards to greyscale and then adjust > image > bright and contrast (or) levels to make the picture a little darker so your bar code is nice and smooth again. Upon printing your monochrome image you’ll notice your thermal printer respond a lot faster as the data of black and white is a lot simpler to work with. The logo is nice and crisp and even the smaller letters such as the address is super clear. You now have a label worthy to ship. 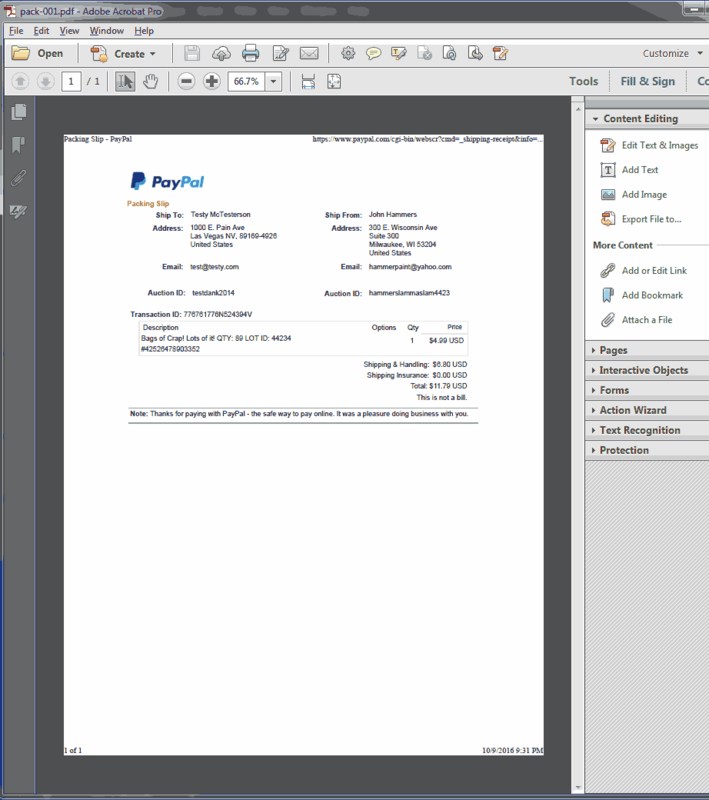 You are giving the option to print the packing slip that goes onto the inside of your box with Ebay or Paypal. This is to both inform the customer as to what is in the box and also it greatly helps out the post office in the event that there’s major damage to the box or label where they can’t read it anymore. 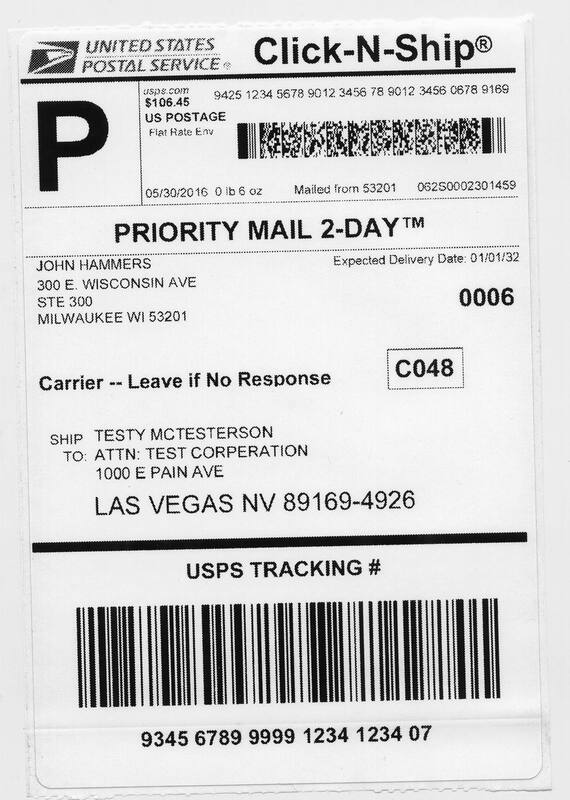 They would then open the box to find this packing slip which tells them where to go. So it’s all around helpful to have inside. Since we’re not playing with anything sensitive like bar-codes and there’s a lot of light color in both the logo as well as the table itself. 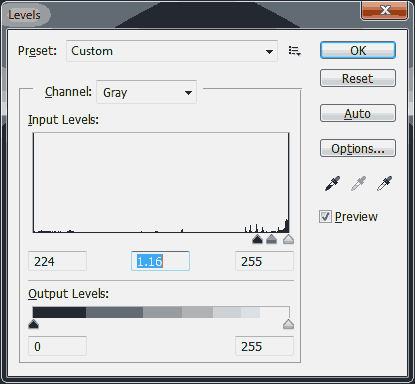 levels can really bring the darkness of greyscale out without causing tons of static on your document. I like to crank it high to really bring out the table lines on my packing slip. Thermal printer repair and recovery. Don’t have the cash for Adobe? Check out how to do it in GIMP. 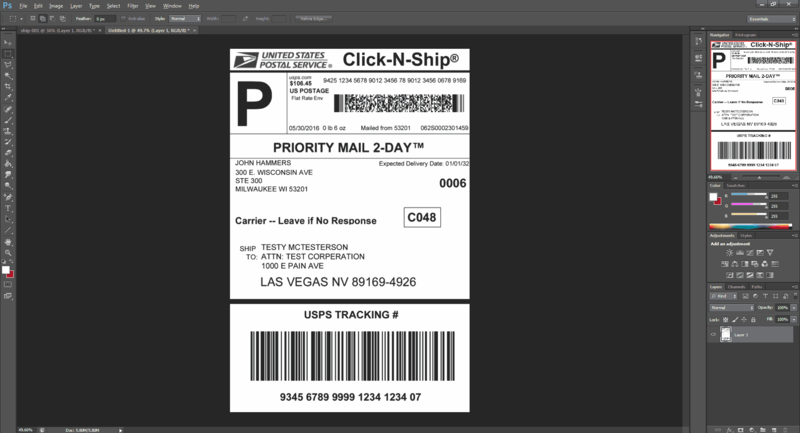 This may seem needlessly complicated but in general I can get a label printed in about a minute and I waste more time weighing and verifying my packages dimensions more-so then I do in Photoshop. This proves that if you know what you’re doing you can use any piece of software on a thermal printer, you don’t need to spend hundreds on some proprietary crap. Hopefully, it helps you on your printing needs. I thank you for reading. Razer Blackwidow Chroma 2014 – Disassembly and Repair.